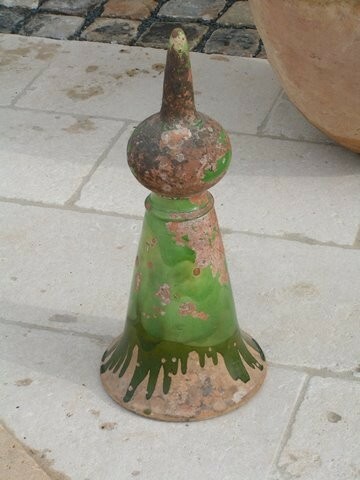 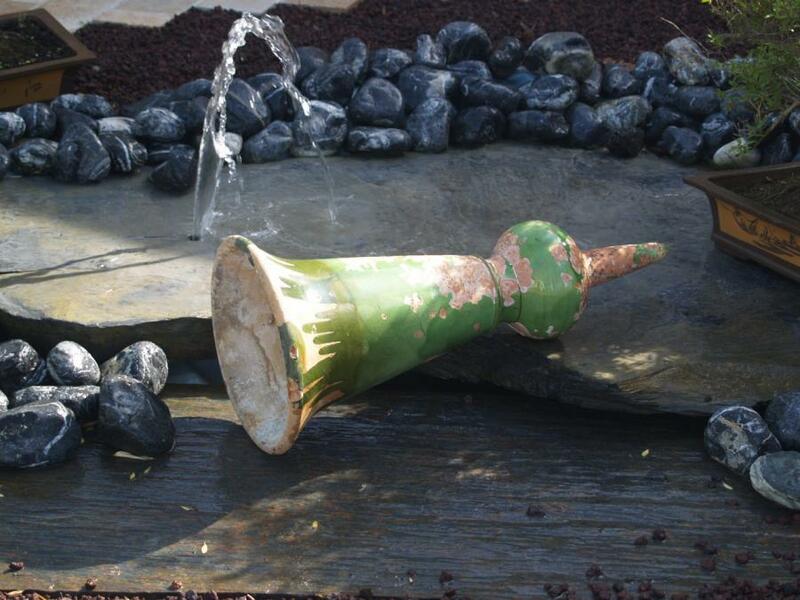 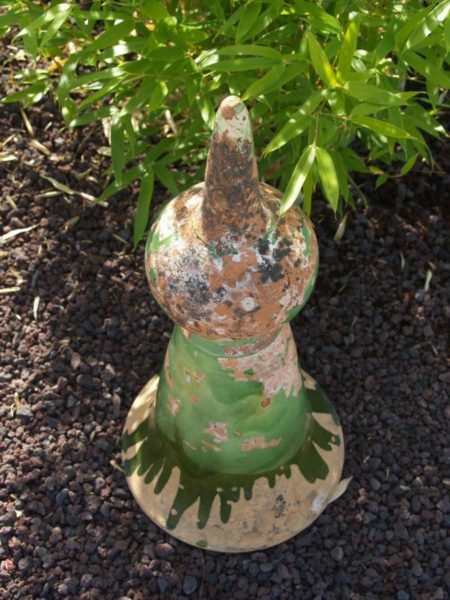 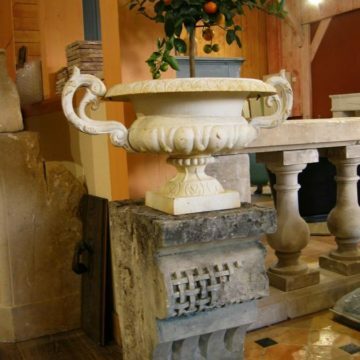 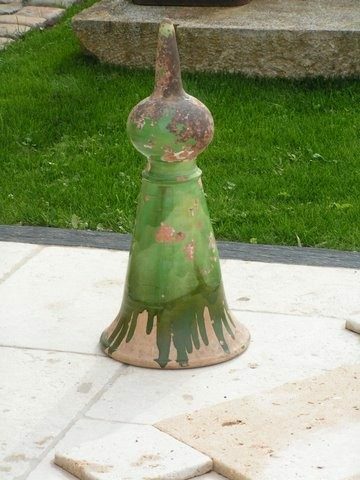 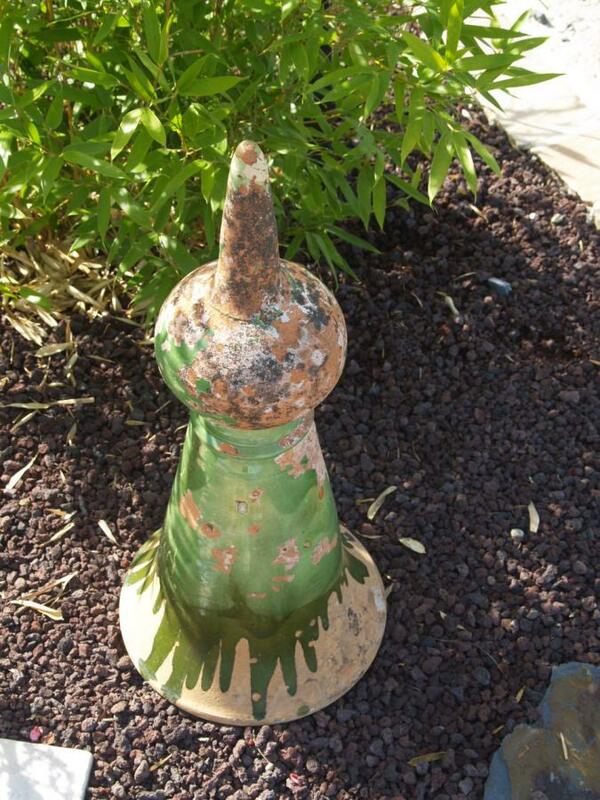 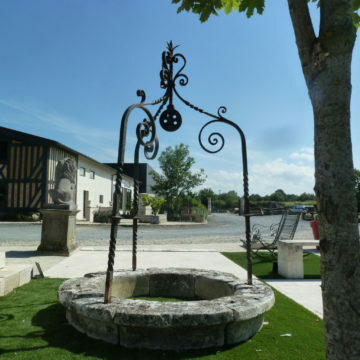 Antique French roof finial in glazed terracotta. 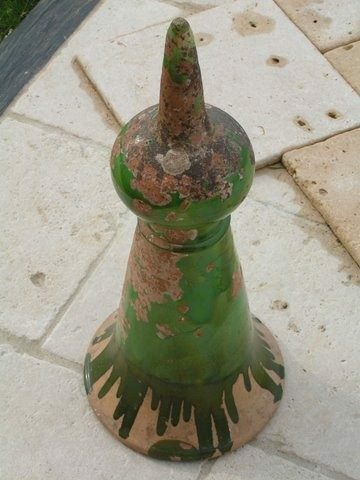 Large scale, presumed from tower apex. 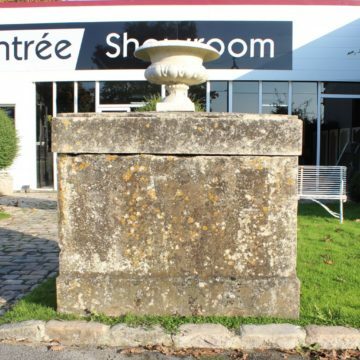 Dimensions approx ht 65cm (just over 2 ft) x diametre 29cm (almost 1ft). Export Document Supplied.